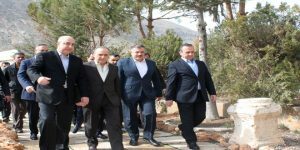 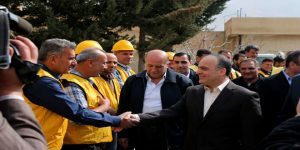 Damascus Countryside, SANA – A governmental delegation, headed by Primer Imad Khamis, inspected on Thursday al-Fijeh spring to the west of Damascus city and the ongoing works to repair the infrastructure of the spring facility in order to fully restore water supply to Damascus city and its surroundings. 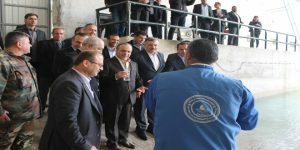 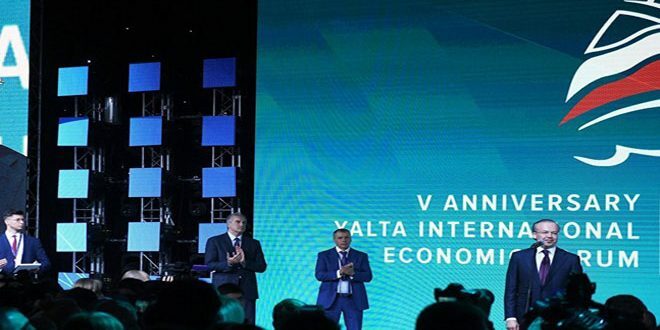 “We started to work gradually in the area according to the reconstruction plan and the necessary priorities. There is a mechanism to rebuild the infrastructure of the government facilities, and so far the important part of al-Fijeh spring has been rehabilitated,” Khmais told reporters. He added that an amount of SYP 7 billion has been allocated for maintenance and rehabilitation works at the facility of al-Fijeh spring and the surrounding area, which include repairing damaged electricity network, adding that work will continue until everything is accomplished. 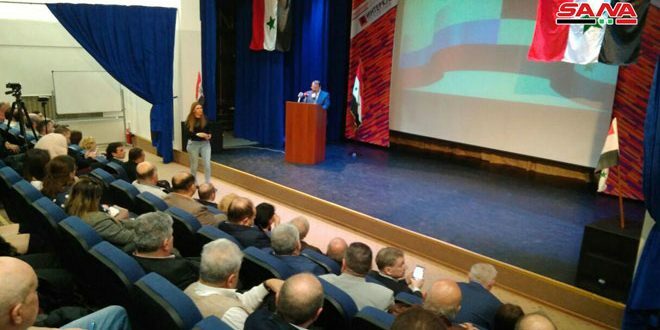 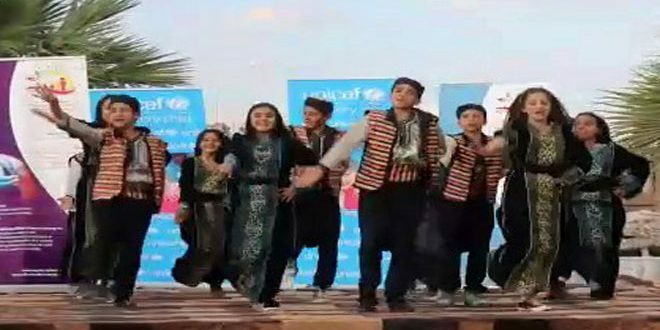 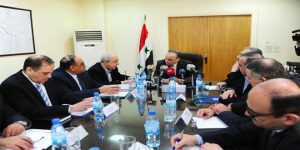 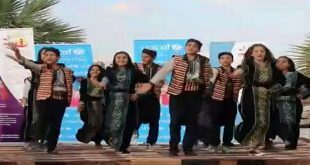 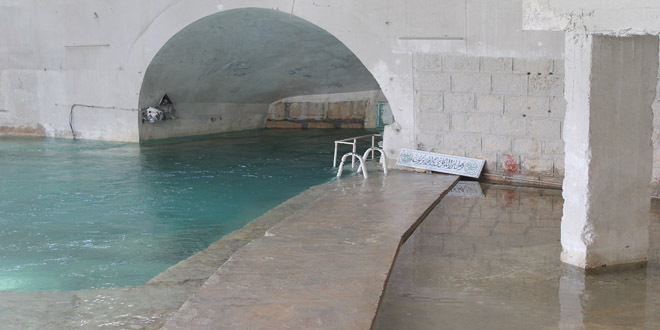 He pointed out that the abundance of al-Fijeh spring has reached 13 cubic meters per second, which enhances water supply to the city of Damascus and its countryside throughout the day. 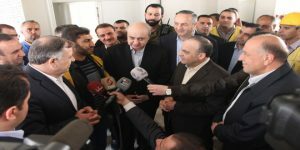 The Prime Minister also met with the Syrian Arab Army personnel at the facility of al-Fijeh spring and conveyed to them the greetings of President Bashar al-Assad and his appreciation of their sacrifices in defending the country and their victories in restoring security and stability to Syrian areas, mainly al-Fijeh spring and al-Khafseh area which supplies water to the city of Aleppo. 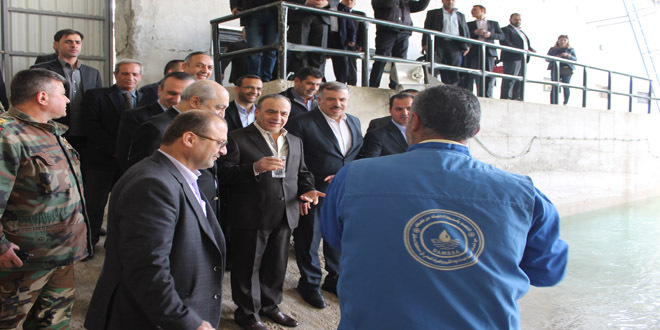 The delegation also visited the power plant of al-Fijeh spring. Following the visit, Khamis chaired a meeting at the Water Resources Ministry in which he determined the features and priorities of the Ministry’s work in the next stage, through a special plan for each province that aims at providing water and the rehabilitation of facilities of alternative well sources in the provinces. 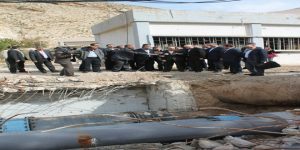 On December 24th, Jabhat al-Nusra and gangs affiliated to it cut off water supply in Wadi Barada and al-Fijeh spring in Damascus countryside through detonating the main water supply pump which feeds Damascus. 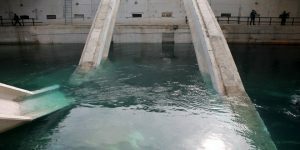 The terrorists also polluted the water with diesel, depriving Damascus city from nearly 80% of water resources and causing a big suffering for millions of residents in Damascus city. 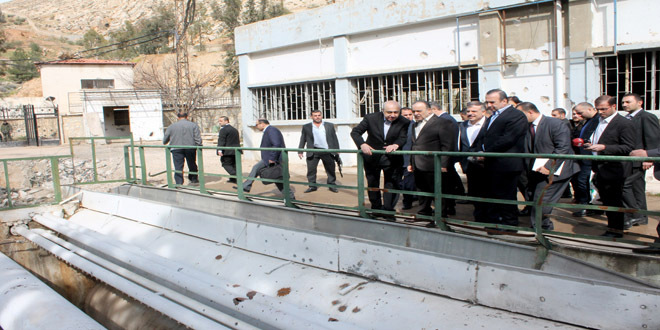 Late in January, the Syrian Arab Army restored stability to al-Fijeh Spring area after encircling the terrorists and killing a number of them. 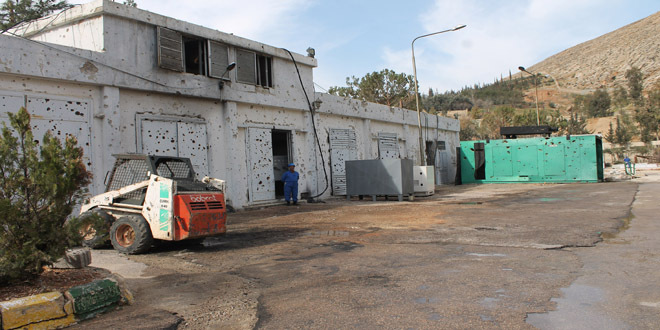 Following the restoration of security, maintenance workshops entered the water facility of al-Figeh Spring in Barada Valley (Wadi Barada) to estimate the damage caused to the facility due to the terror-inflicted damage.